BLACK FRIDAY WEEKEND DEAL! | The Captain Sun Adventures! 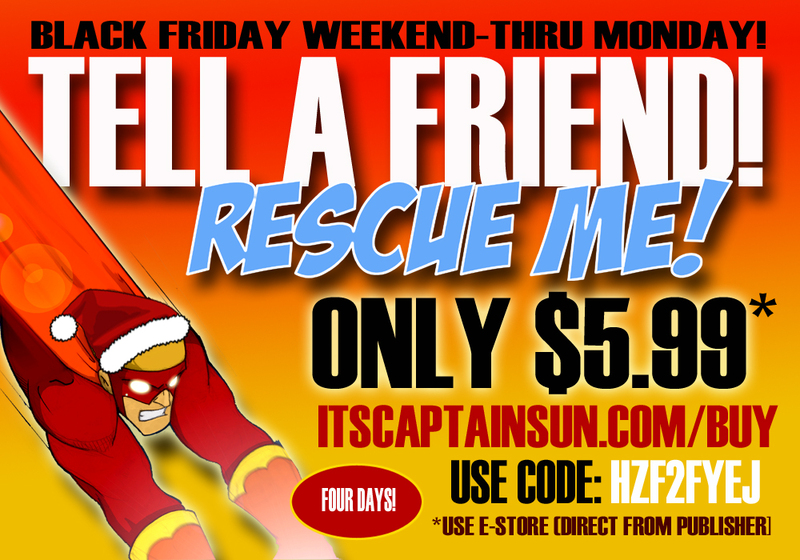 I’m extending this great deal on “Rescue Me!” through Cyber Monday! The code is active now, so order away! AND PLEASE LET OTHERS KNOW ABOUT THIS GREAT OFFER! THANKS!